Elizabeth is a true talent! We have worked together over the past ten years and she is hands down among the BEST hair and makeup stylists in Seattle! Elizabeth's demeanor and approach to working with her brides is top notch. 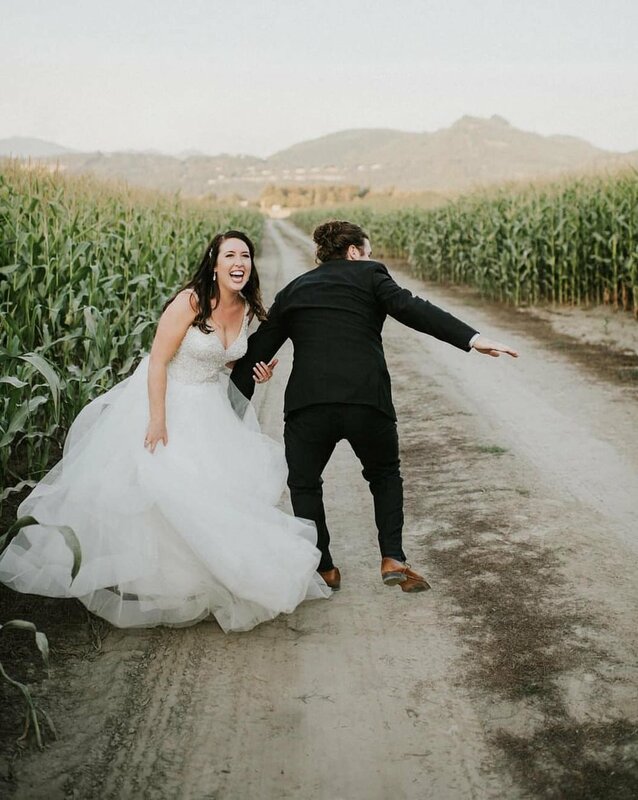 She is personable, listens to the wishes of her clients and makes them feel at ease on their wedding day knowing they are in exceptional hands. I cannot say enough good things about Elizabeth and the beauty she creates! Liz is fantastic. One of my concerns about having my hair and makeup done for my wedding was that it would look too heavy and 'bridal,' as opposed to looser and more natural. Liz listened to me and gave me exactly what I wanted. Actually, she gave me more than what I wanted, because I didn't even know that I wanted it!! I've never felt so beautiful. Liz is excellent at her work, and you should definitely hire her for that reason, but beyond that she is truly lovely. She's fun to hang out with, she makes you feel comfortable, and she is so easy to communicate with in the lead-up. She did my hair and makeup, our mothers' makeup, and a sister's hair. Everyone was thrilled and looked beautiful. I cannot recommend Liz enough. Elizabeth and her team were incredible! Not only was Elizabeth extremely professional, she listened to my vision and created a bridal look far better than I could have ever imagined. She took the time to get to know me prior to my trial session and was willing to answer all my beauty questions. On our big day, Elizabeth and her team were fabulous. My bridal party were thrilled with their looks and they lasted all night long. I would highly recommend Elizabeth with zero hesitation and feel so fortunate to have been able to work with her! LOVE LOVE LOVE! It was fantastic working with Elizabeth and her crew! Not only does she do fantastic work, but she is so flexible and accommodating. 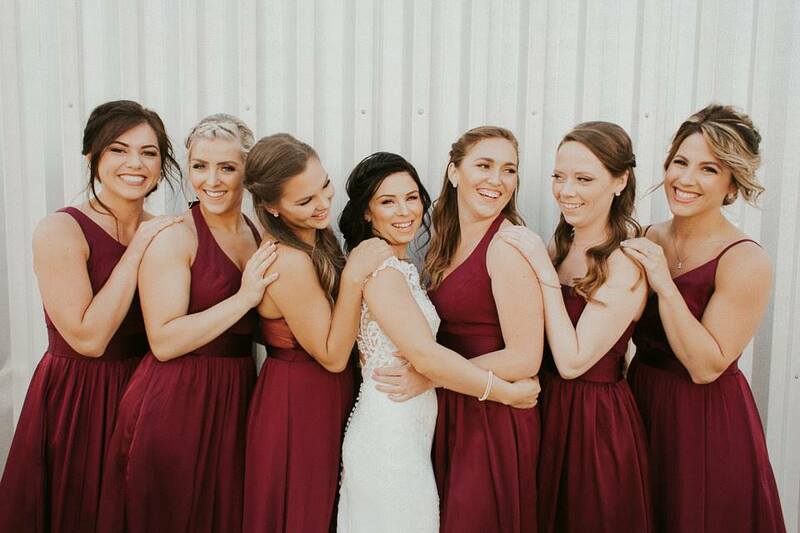 She was able to come to my apartment for the hair and makeup trial, and then her whole team came out to the hotel room to beautify the bridal party. She did so many things to take stress out of my life - like bringing all the of fake lashes for our group! I felt like I was just chatting as a friend as she beautified me. I highly recommend her services, and I hope to have an event to hire her for again! I had THE BEST experience with Elizabeth and her assistant. First of all, Elizabeth was kind enough to meet me in person before booking our trial so I could ask her my million questions. Most importantly she has fabulous experience with curly hair girls! Then on hair trial day, she came to our apartment and took her time making sure I loved my hair and makeup for my wedding shower. I got raving compliments. Finally for the wedding, she and Janaeh arrived and brought AMAZING fun, upbeat but chill vibes. Every single one of my sisters has curly hair and are all particular about our hair and we all LOVED our updos! And our makeup looked divine!! Most of all, we had a blast. Thank you so much Elizabeth! Elizabeth is absolutely amazing....stop your search right now and just hire her!!! 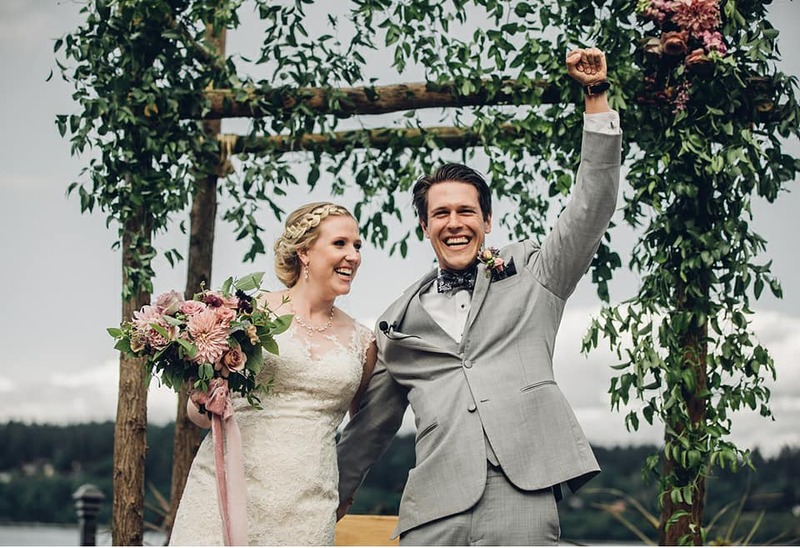 From our first email exchange to the wedding day, she was extremely professional, communicative and downright fun to work with. She truly listens to what you want and somehow makes you look 10 times better than you could have ever imagined! She is a perfectionist, and won't let you leave her chair until you're completely in love with every aspect of your look. For example, I'm pretty self conscious about my skin due to acne scarring, and I was worried about my scars showing through and my makeup wearing off during the night. 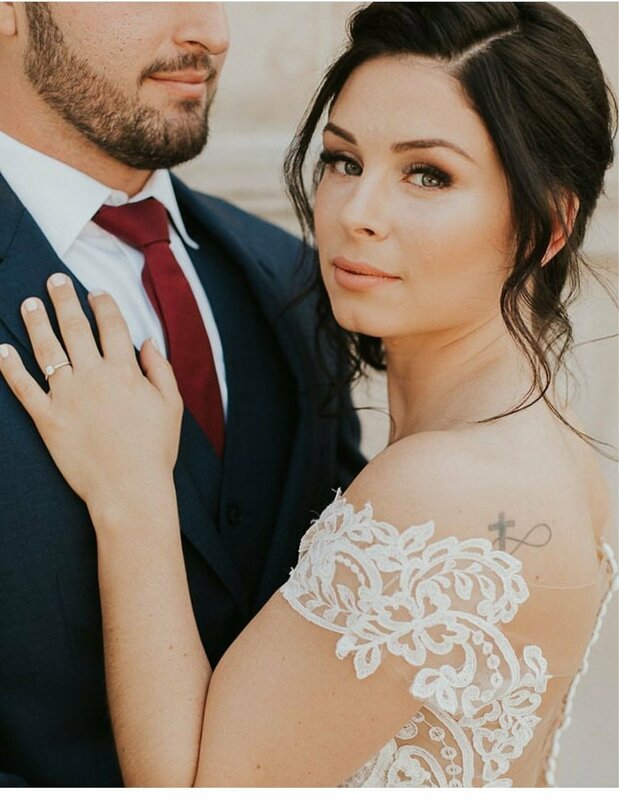 Elizabeth worked her magic to achieve the perfect level of coverage for me and made my skin look better than ever....I felt so beautiful on my wedding day! Through all the tears, hugs and dancing both my hair and makeup looked flawless all night!! And then there's her pricing...her rates are the most reasonable I've seen!!! I loved that she includes a trial run in each of her packages, and doesn't require a bunch of people to get services in order to book her. She is just a blast to work with! You'll feel like you want to be her friend after just 2 minutes of meeting her. My bridal party couldn't stop talking about how fun and funny she was when we were all getting ready on the wedding day! Basically, you can't get better than Elizabeth. Just book her...I guarantee she'll make you feel like the best version of yourself!!! Thank you so much for doing such a beautiful job with the hair and makeup for Kimberly, bridesmaids and me. I am sure we were a challenge being a early morning wedding…thank you for pulling it off! I especially thank you for fixing my hairy monster eye brows and I am so grateful for your listening ear plus kind patience while working under pressure. You are truly awesome! Thank you so much for doing such an incredible job with all of my ladies makeup! They all looked amazing and more gorgeous than ever. 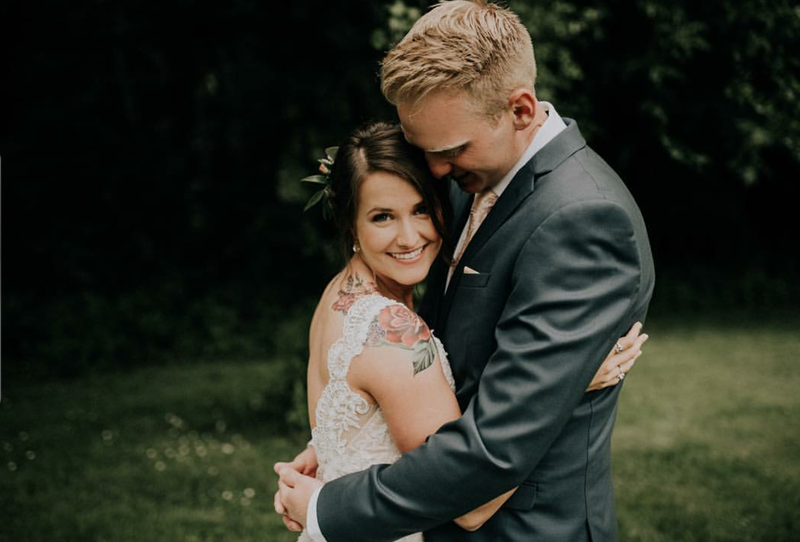 Thank you so much for helping make my wedding the best day ever! With love! Thank you for being such a wonderful part of our wedding!